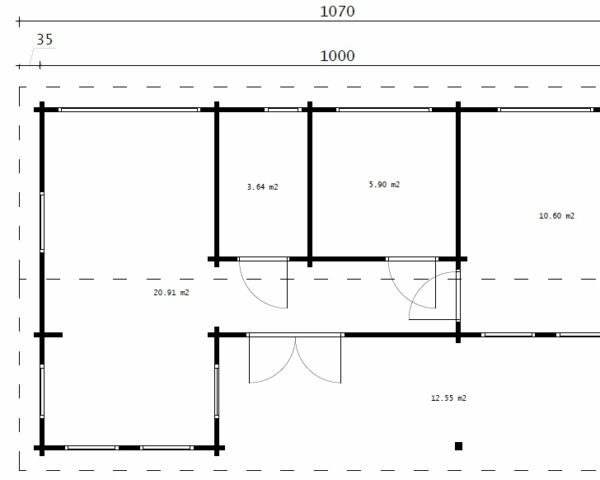 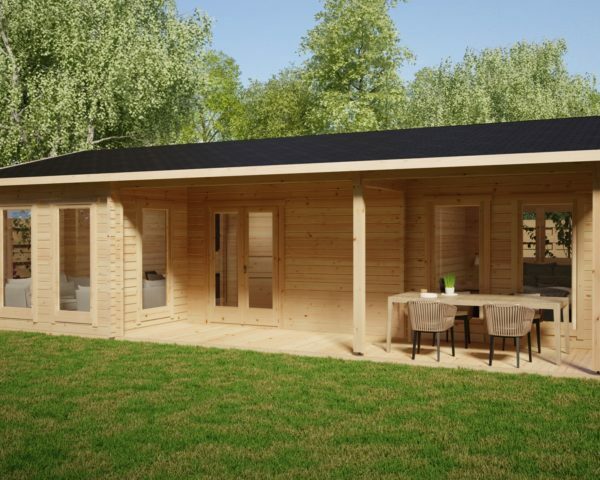 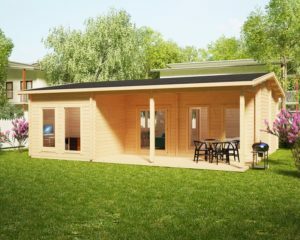 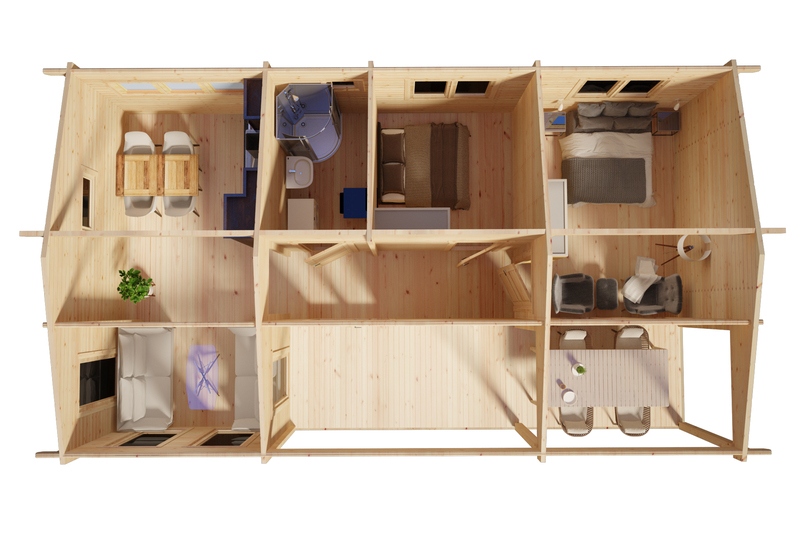 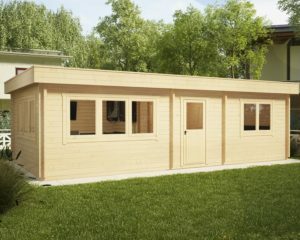 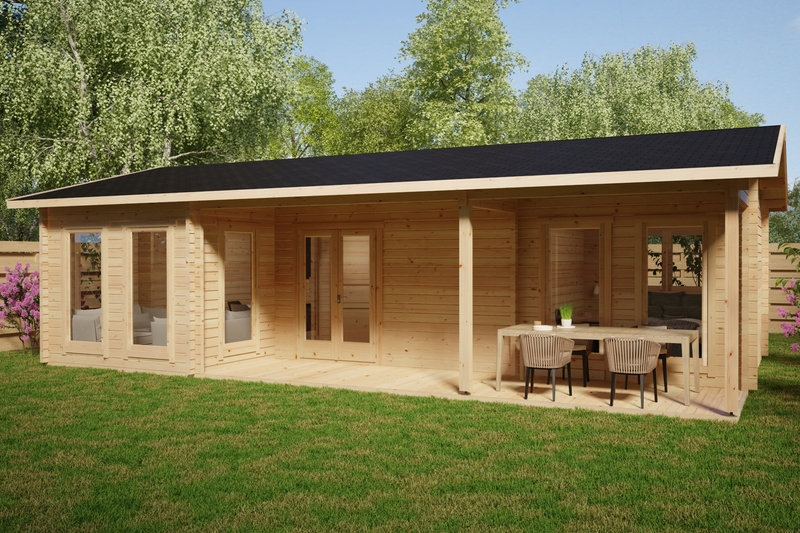 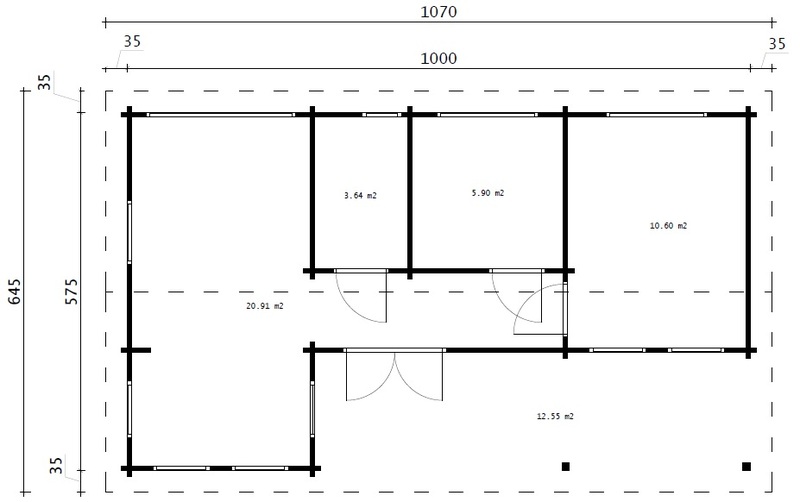 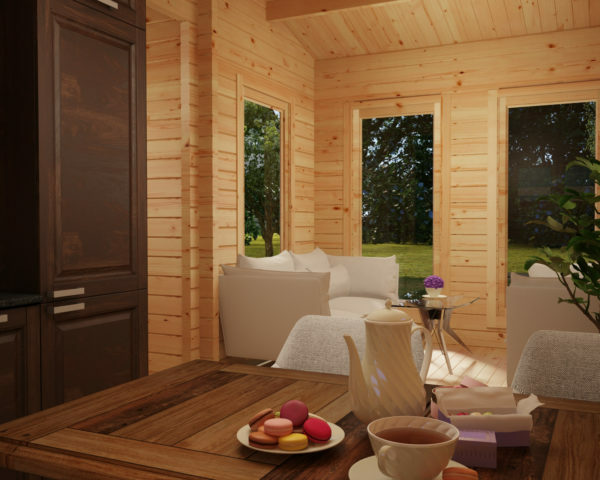 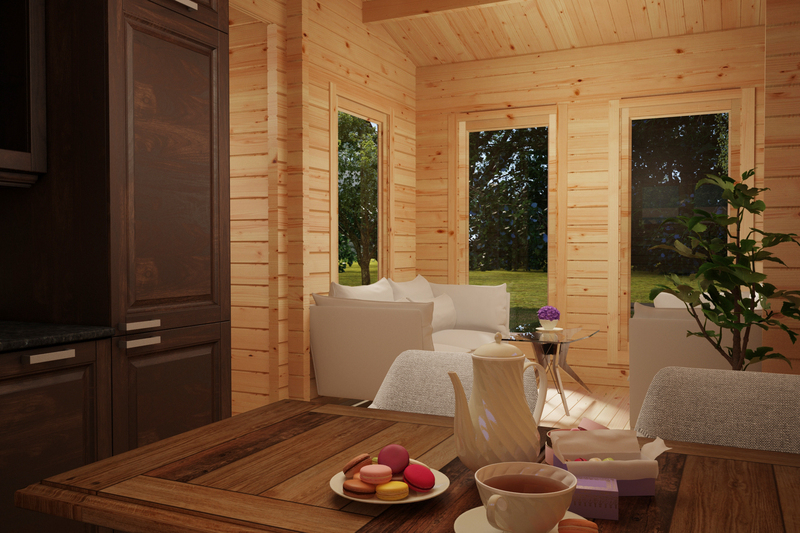 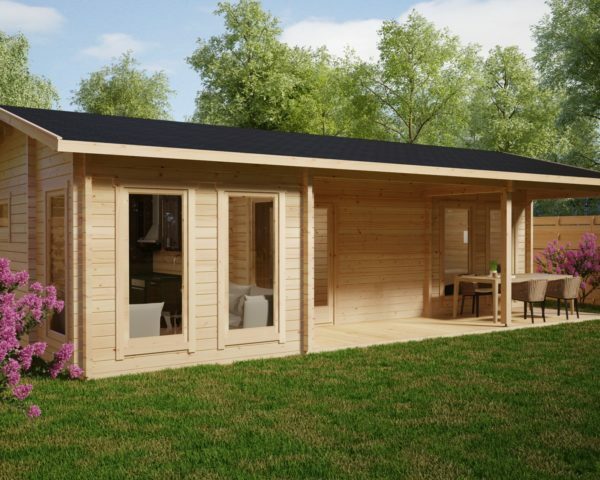 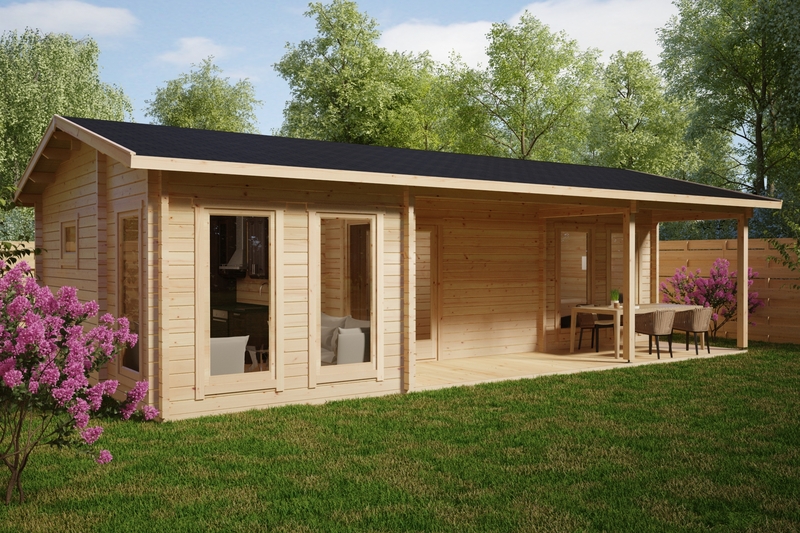 The Holiday K is a superb quality log cabin with 70mm wall thickness and 40 m2 inner area. 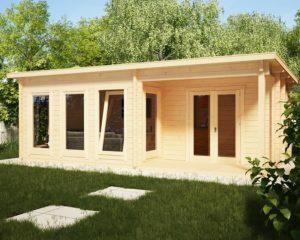 This great timber structure features double glazed windows, all operated with German made “Roto” turn and tilt systems, double glazed doors, strengthening metal rods in walls, metal storm braces inserted throughout the entire wall and fixed with nuts, extra thick 28mm floor boards as well as extra strong 94mm pressure treated foundation beams. 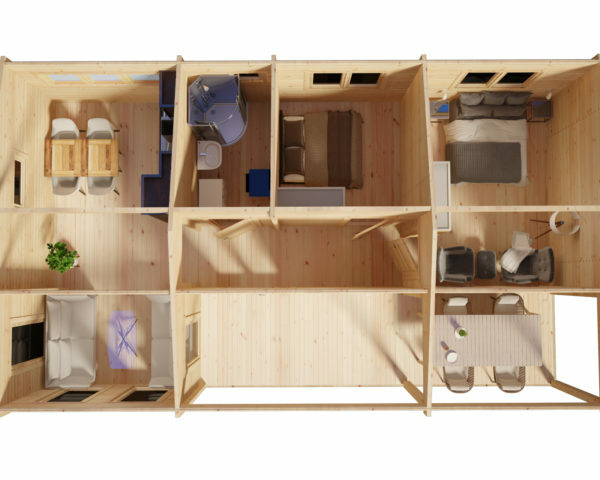 All its wooden components are made of the finest Nordic spruce.